The food-service industry - above all the catering sector - is increasingly facing challenges such as lower budgets, decreasing profit margins, inadequately trained workers, stricter legal requirements and more demanding guests. All of this requires a new generation of intelligent high-convenience products that are perfectly aligned with system processes and generate added value at all levels. This is why Aviko developed the GastroNorm gratin. The GastroNorm gratin, abbreviated as ''GN gratin'', is a gratin that fully meets the specific requirements of the catering and foodservice industry. During the development of the GN gratin the specific demands from the market were taken into account. This has resulted in an easy, effective solution, which delivers consistently high-quality and accurate measurements to bring a solution that is simple for all cooks to use. The gratins are made from steamed Steam & Fresh potato slices with a delicious gratin sauce. This assures high-quality and perfect results every time. Aviko has paid a lot of attention in developing an easy to use gratin. Because of that, the GN gratin guarantees a less time-consuming and labour-intensive preparation. 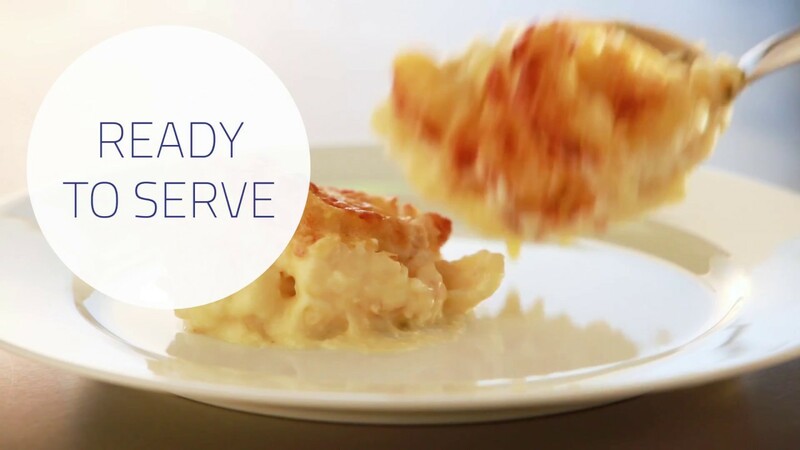 No messes, no left-overs and no lost time are guaranteed when preparing the GN gratin. In any case, it results in a smooth and almost like home-made gratin. Please watch the video down below and discover how easy and effective the preparation of the GN gratin system solution really is. Are you interested or would you like to know more about this product? Please feel free to get in contact with us.